How to Fix a Broken Bong and Broken Glass Pipe | Can You Repair It? It’s happened to every single one of us. We leave our glass pipe in our lap and stand up, or we bump the table our bong is sitting on, both of which result in quickly ruining our day. Some glass shatters into a million irreparable pieces, while other pipes may chip or even have a clean break across. These less dramatic breaks can be easily repairable, sometimes they can even be made to look good as new. So how do you fix a broken bong or a broken glass pipe? These are a few of are favorite online headshops here at THCoverdose. But, if you're sure you'd rather fix it, keep reading. Most bongs nowadays are going to set you back a pretty penny. So when you break one, it’s especially devastating. Here is a couple of quick ways to fix a broken bong. Depending on where the break is you can use food grade silicone. This method works on areas like your joints or the tube of your bong. Food grade silicone works best when repairing cracks or notches in the glass; it’s not going to help you if you have a completely broken bong that you need to piece back together. Two component epoxy is a great long lasting way to fix your broken glass bong. When buying epoxy, though, you need to make sure that you buy an epoxy with no solvents like a food grade epoxy. Epoxy works best on fixing bongs with clean breaks. If your bong has a real jagged break, you might consider buying a glass cutter to create a clean break, and then sand it down slightly before you applying epoxy to bond the two pieces of glass together. If your break is at the base where bong water will be, after time the epoxy will get bogged down by water and start to leak. You can help prevent this, by keeping your bong empty in between uses. Now, this method is if you're are in a hurry, low on funds, or if you just want to get janky with it. Duct tape works well when fixing small cracks or even clean breaks of the tube. If your break is at the base where the water stays, then this fix will only work very temporarily at best. You can also use a sink, Tupperware bowl, or a bathtub. Pretty much anything that holds water. This fix, well it’s more of a workaround, is for when you break the base of your bong. What you do is sit the bong in the water and voila, that’s it. The water in the bucket (or whatever you end up using) acts as the base of the bong and creates an airtight seal. Sometimes, glass bong repair is best left to the professionals. This method is by far the most expensive, but it will be the best looking and longest lasting. Most of the time you can avoid paying the big bucks ($40-150) to hire a professional glass blower to fix your bong. However, if you paid $300+ for it, or if it is sentimental to you, it’s worth at least getting a quote from a professional before you proceed with trying to fix it yourself. Just know that you are going to have to get it 100% clean before taking it to any glass blowing artist for a quote. More often than not, a when a glass pipe breaks, it’s beyond repair. Most glass bongs break from being knocked over and fall a relatively short distance, a glass pipe, however, is usually the victim of a pretty severe fall. If your pipe is shattered, I would probably just move on. If the tube is broken clean off, you have a crack, or if a notch of glass is broken out, try one of these methods to repair your glass pipe. Quick Steel or JB Weld are both great options that do relatively the same thing. They are a putty-like material that can be used to fill holes or bond glass back together. If the crack or break is anywhere near the bowl of your pipe, you should avoid using this method. Epoxy is another quick and easy method. It can quickly bond the pieces of your glass pipe back together. However, avoid using it anywhere near the bowl of the pipe. Again, a duct tape fix should probably be reserved fora last minute quick fix. The process, however, is pretty self-explanatory. If your glass pipe has a clean break across the tube, then connect the two pieces and tape away. Let me start off by saying this is best left to the professionals in a professional setting, with all proper personal protective equipment. If you have access to the proper equipment, fixing a clean break on a glass pipe can be achieved with a fairly simple process. 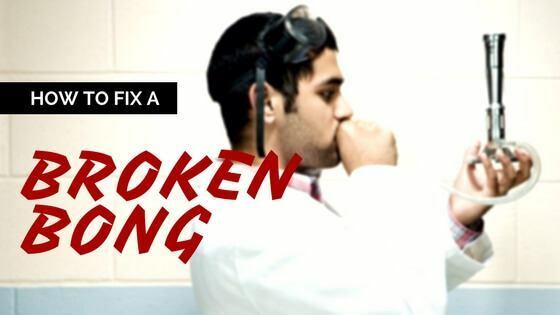 Watch the video below to learn how to fix a broken glass pipe like a professional. Usually, the price of a hand pipe is not going to justify hiring a professional to repair your pipe. However, some real heady pieces can creep up there to a price range that will make hiring a pro make sense, and, of course, there is always the sentimental value that might make you feel inclined to hire a pro. Call around to your local headshops or local glass blowers, and you will be able to get some good quotes. Keep in mind that the piece will need to be 100% clean before you can take it in anywhere to get it looked at. Sometimes you just have to face the music, and accept that your glass is gone. 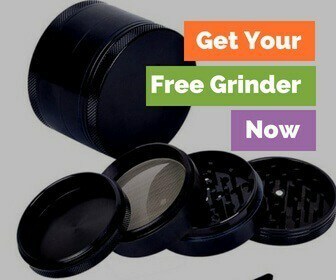 That's when you should turn to either a local headshop or an online head shop. So while not all pipes and bongs can be fixed, most can be fixed with a little bit of know-how and creativity. Is there any method you use that I didn’t mention here?